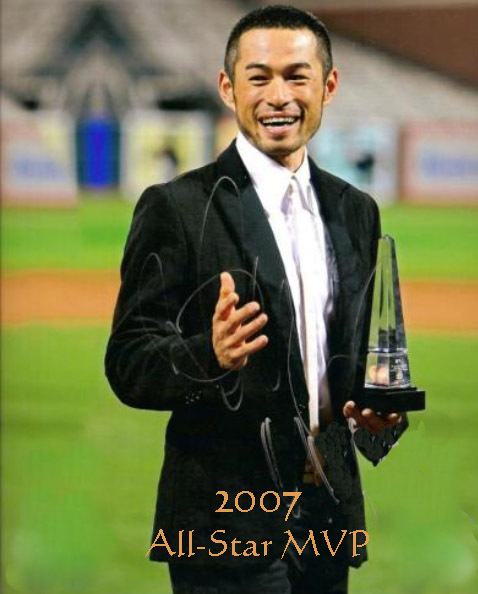 Welcome to the world's first site devoted exclusively to collecting the baseball cards and related memorabilia pertaining to the amazing ICHIRO! 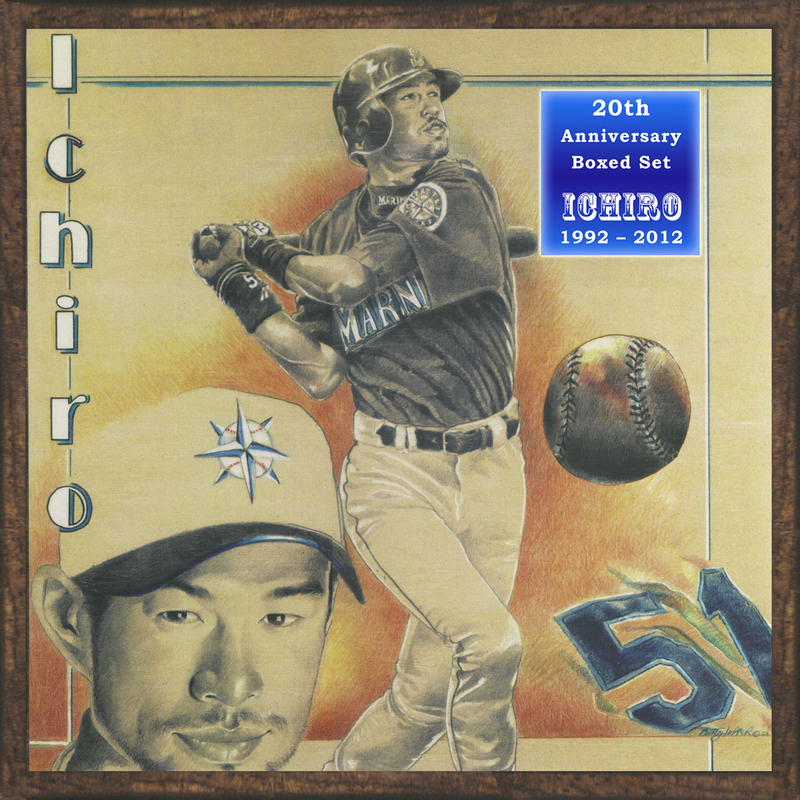 Featured here is the Official Worldwide Ichiro Cardography, where we document and picture nearly every Ichiro card made from 1993 through 2003. Each image is easily viewed by clicking the baseball icon that follows the listing. Along with approximately 350 different Japanese cards, we cover over 4,000 American cards! Except the four Hilo Stars issues (Hawaii, 1993), the American cards began in 2001, his first year in Major League Baseball. 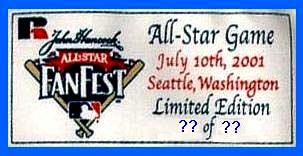 The primary focus of American cards are ones made between 2001 and 2003. 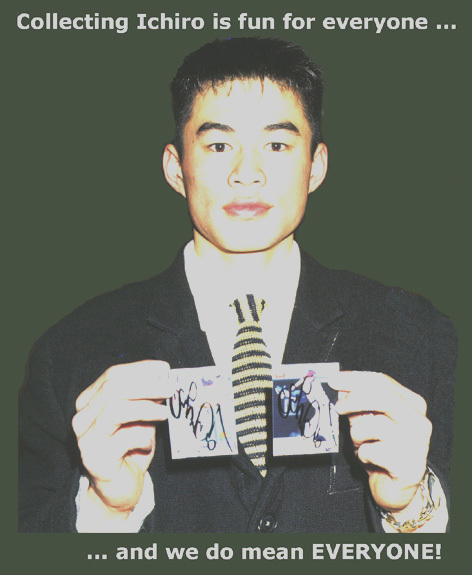 Some exceptions are factory-issued cards signed by Ichiro (2001-2004) and factory-issued one-of-one cards (2001-2006, plus selected others). Especially fascinating are the 1/1 issues from NSA (National Sports Authenticators) (2008-2011), and One on One (2012-2015), honoring his time in New York (Yankees) and Miami (Marlins). We will also try to maintain a complete listing of all cards made in Japan, or elsewhere overseas. 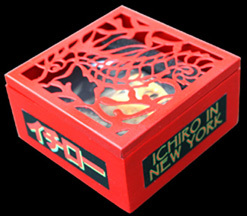 Collecting Ichiro is strictly a hobby for us! As such, there is not enough free time to keep up with the hundreds of other recent issues that continue to pour forth from the American card companies. By specializing, we can concentrate on keeping our chosen years accurately documented and thoroughly comprehensive. Cards are grouped by year of issue, which usually matches the copyright date shown on the back side. Look for it to be in tiny print near the bottom. Date made is in some cases different than product description. Often, cards manufactured in November or December refer to the following year in set titles and publicity. Also shown are value estimates that were accurate at the time of issue! Prices may have moved in either direction since then. All pre-2004 items are priced  from the most common to the world's rarest! To stay current, we encourage your input. Additions and corrections are greatly appreciated, and will add to the overall value of this free reference source. Note: none of the cards documented on any of our pages are for sale! They are listed and pictured for reference ONLY! Be sure to visit the "Area 51 Trading Post" to see a list of the Ichiro cards and memorabilia we want to buy. 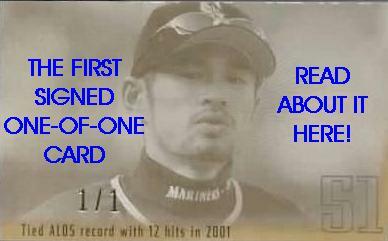 See it now: The Ultimate Ichiro 1/1 Card Collection! "Obviously, before, I knew he was an unbelievable player, and one of the best ever. Getting a chance to be in the same locker room with him and play beside him, he's impressed me even more than I was impressed before with his routine, and how regimented he is on what he does and his work ethic. "I knew he got a lot of infield hits. Usually, when guys get infield hits, they mis-hit the ball on accident and beat it out. I really think he knows how to do that on purpose, and he does it intentionally. Getting to see a guy do that, and then can drive the ball out of the ballpark any time he wants to  to see a guy do that is highly impressive. 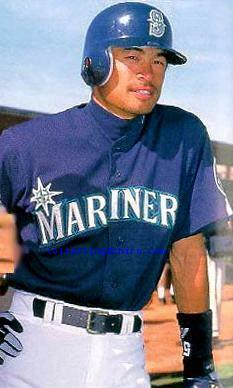 ICHIRO AT SPRING TRAINING IN 1999! Site conceived (June 3, 2001) and maintained by Jerry Osborne; however, "Collecting Ichiro"  like baseball itself  requires a team. Appreciation is therefore extended to the following individuals, without whom this "team" would fall far short of being a champion: Barbara Jean; Kevin Bate; Bruce & Yumi; Captain "G"; Timothy Chau; Shun Chen; Lorena Christie; Bruce Collins; Seth Dant; Betty Harper; Virginia Banks; Michael Kiyomoto; Dan Martin; Hoon Park; Chester Prudhomme; Larry A. Rutkowski; Shu Watanabe; Whatzhot Distributors LLC; Dan Yoshino. 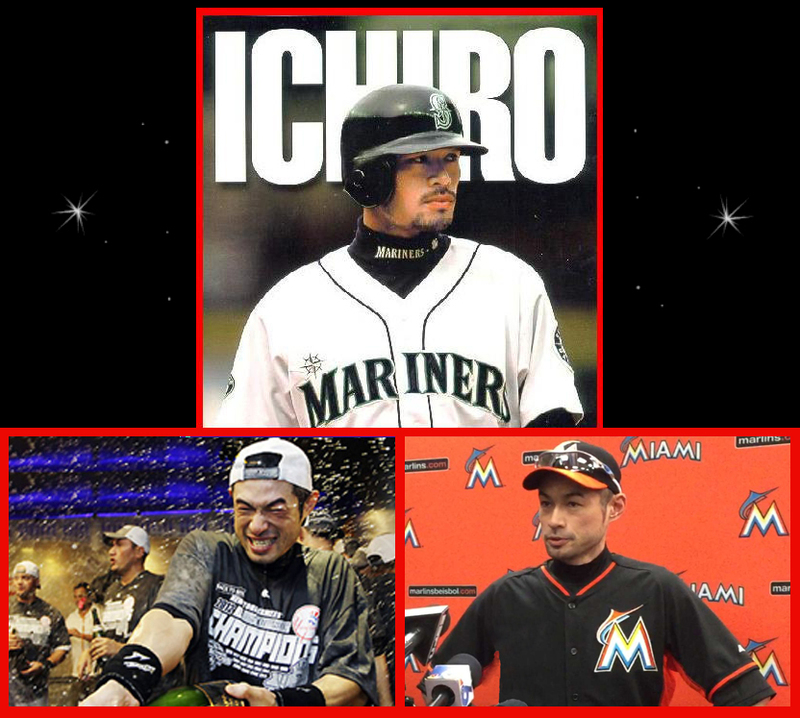 "Collecting Ichiro" exists as a free source of information. It is a labor of love and so it shall remain. Our value estimates are based on confirmed sales at the time of issue. Prices may have moved in either direction since then. No guarantees or assurances of value are intended or implied.